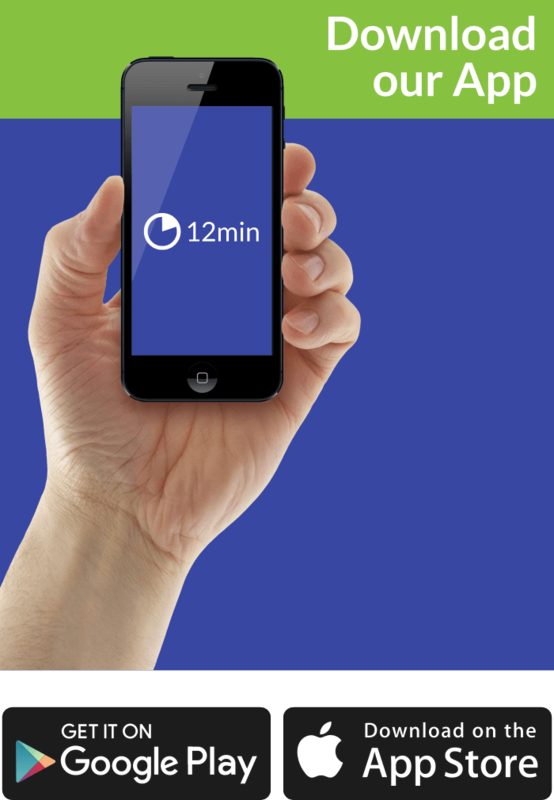 Interested in simplifying your life? Emily Ley thinks she has discovered the perfect formula. Ironically, the point is to stop trying to be perfect. Who Should Read “Grace, Not Perfection”? And Why? Just like a few other women whose struggles for order and wellbeing in the midst of chaos we’ve already covered – think Rachel Hollis or Shonda Rhimes – Emily Ley is the be-all and end-all of 24/7 people: a mother, a wife, a successful designer, a business owner. 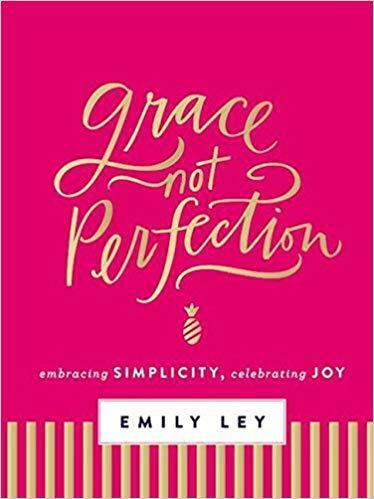 If you are in a similar situation and have the feeling that you’re expected to be more than one person, then Grace, Not Perfection is a book you should definitely include on your reading list. It should help you order your life through prioritization and simplification. It also comes with a video study guide in four sessions and a guided journal; the latter, combining Ley’s experience, knowledge and unique eye for aesthetic details, promises to be the perfect companion to this book. Emily Ley is an American designer and writer, an advocate for simpler living, and the Founder and Creative Director of Emily Ley Paper & Gifts. A graduate from the University of West Florida (with degrees in Public Administration and English –Creative Writing), Ley became the Executive Director of the city ballet, before moving on to several management and PR jobs in the nonprofit department. In 2008, she launched her own brand and made a name after she created the Simplified Planner® – “a daily agenda for what matters most.” The planner won her numerous awards, including Best New Product at the National Stationery Show and a place on the “Top 10 Designers to Watch” list by Stationery Trends Magazine. In a way, an explanation and an addendum to the Planner, Grace, Not Perfection was her first book. Find out more at EmilyLey.com. Finally, if you want a more extended summary of each of its three parts and fifteen chapters – then, read ahead! Emily Ley – just like Rachel Hollis, Shonda Rhimes, and just about everybody – has a pretty straightforward answer to that question: they don’t. The first lesson she learned on her road to happiness and bliss: we are all slaves of perfectionism because we have confused in our childhood the notion of being perfect with the idea of being worthy. The latter is the only available standard. And the easiest way to achieve this standard? Well, just give yourself permission to just stop. Press pause as soon as possible, take a deep breath, and start analyzing your life. Have you ever done anything worthy – or even decent – when in a state of overcommitment? Because it’s impossible to do something when your heart is filled with nothing. “You can’t draw water from an empty well,” says Emily Ley. You might say our hearts are wells – deep and wide. If our well is not fed by fresh water spring, where it can be replenished and refilled, we have no water to give to the ones we love. If are well as fed by stream of comparison, anxiety, and stress, guess what we will have to give our families? Sharp words, headaches, and impatience will be room at the top. Nothing good can come out of that poisoned well. But what would we have if we let our wells be filled with things like rest, laughter, confidence, good tea, hugs, and adventure? I want to overflow with that sweet water. As far as the organization of your time is concerned, you can’t do much better than consulting Laura Vanderkam’s book on the subject; and as far as the other two are in question, Marie Kondo might be the only guru you’ll ever need. Everything is moving so fast around us that sometimes we forget what really matters. The only time we really come to our senses is when it’s already too late. How many stories do you know of people who are on their deathbeds and who are finally aware of how they spent too little time enjoying the great moments in life and too much of it ignoring them? And never sacrifice the good for the perfect. So, stop worrying about everything going according to plan; it’s time that you embrace life in all of its randomness and unpredictability. Sometimes things get messy, true. But, that’s the point: they will get messy no matter how much you try to avoid the messiness. So, why don’t you just stop doing that? From time to time – surrender control. How many times have you had quarrels with your loved one just because they didn’t do something according to your vision of life? You’ll always have one or two things to argue about with your loved one; after all, both of you are individuals, and both of you have some expectations and dreams of freedom. That’s why picking your battles is much smarter than fighting all of them. If not yelling about socks on the floor gets you encouragement and a couple of warm hugs – then, really, should you even bother thinking about picking about the socks yourself? Do you know why you should let go arguing about the socks? Because you have some dirty laundry in your closet as well! No matter how special they are to us – all of the people we know are flawed in one way or another; yes – that includes us. And it is because of this that life is so rich; even though, it is also because of it that sometimes it’s just too circus-like. “I’m slowly learning that my happiest, most special moments happen when the circus is at its peak,” writes Emily Ley. Be aware of this sentence lest you learn this too late. How many of your relationships are a burden to you? Do you want to say that even the ones you have with your closest ones can be described in such a manner? But shouldn’t they be the very opposite? Ley thinks she knows the problem: you are trying too hard. Instead of letting yourself go and learning that good friendships are all about accepting each other’s imperfectness, you are trying to be perfect even in front of the ones who’d accept you the way you are. Now, stop doing that immediately. Instead, show yourself in all of your splendors and failings even in front of strangers; you can’t even imagine the relief! Routines in relationships are something you will never be able to get out of; we can think of a few films when people tried doing that (say, Love Me If You Dare) but that never turns up the way you’d expect it to. Because the point is not doing away with routines in your relationships; it is choosing the ones you want. To find them, a good starting point should be unearthing those parts in life which bring you the most stress and anxiety. Now think of a way to circumvent those through a routine; because, as you know full well, when you’re in the middle of the routine you do things mechanically and feel nothing. That includes stress and anxiety as well. As the Stoics understood two millennia before us, there are things you can control in life and things you can’t. But what to do about the bad things that are not under your control? Back in your teenage years, you were infinite: in your mind, you were ready to become anything you want to, and the only thing you needed to do was choosing the right path. If you are like 99% of the people, your path was all about your future job choice. Well, your job is only a part of your life! What about your friends, your family, your hobbies, your dream vacations, your free time? Living the life you want to begins with defining it. Of course, defining the life you want to is merely a part of it; it’s then when the real work starts. After everything, one of the best lessons I’ve learned is this: everyone has a story about how they started out. Every dream began in somebody’s garage or at someone’s kitchen table or over two pretty average cups of coffee. Every successful person was new once and had to ask a lot of questions to figure out the way. Every person you admire has accepted help and advice from others and has fallen on his or her face countless times. Show me a self-made success story of a person who’s never failed, and I’ll show you someone who’s telling you a fib. A necessary chapter to reiterate the main idea, this time in relation to your family. Namely, feeling as if you are not the perfect mother is natural; so natural, in fact, that every mother feels it. However, if that’s the case, doesn’t this mean that it’s also something which is not correct? After all, most of us have turned out fine. It’s in your blood to be a good mother. Don’t listen to the little voice in the head. It is the voice of your Neanderthal ancestress who lived in a very different time and age. Contentment, according to the Merriam-Webster Dictionary, is a state of happiness and satisfaction. It’s something you crave for, but also something you must make room for in your life. The best way to do this is to simplify matters and start making things happen. That’s the very essence of what life is all about. So, don’t allow yourself to mar your contentment by way of comparison with some people who, on the face of it, look happier than you. Believe us, they too have serious, serious problems. You should love yourself and your life much more than that. To paraphrase Emily Ley, perfectionism is the true killer of joy. In other words, if you want to live a perfect life – paradoxically – accept its imperfectness. Don’t sacrifice the good to chase the perfect. The former is almost always better. No matter how much all of those photographs on Facebook and Instagram try to convince you in the opposite, unfiltered, even the lives of the happiest among us are as messy and as chaotic as you’d expect them to be. The difference between them and you? They’ve decided to embrace the messiness and savor the circus. Because they know that, at the end of it, these will be some of their happiest days. If you are younger and still undecided over your career, then this is the perfect moment to stop thinking of a career. Not because you shouldn’t have one – everybody needs money, after all; but because your job is merely a tiny part of your life. So, instead of thinking about it, it’s much better to think about the big picture. Define the life you want to live – and then go for it! The simple, guiding idea of Grace, Not Perfection is revealed already in the title of the book. If you are a woman and you think that you can achieve that without a guiding light, then you don’t need this or any other book. In fact, if that’s the case – congratulations, you’ve found the perfect formula for bliss and happiness! You should be the one writing books for the rest of us. However, if you want some help decluttering your day-to-day schedule and your ever-exhausted mind – and you are a Christian or have no problems accepting a bit (and maybe, a bit too much) of the Christian God in your heart – then do consider letting Emily Ley in your life. It’s not that her ideas are new or revolutionary; but, let’s face it, it’s always easier when you have someone telling you what to do and when to do it. Beautifully designed and straight-to-the-point, Grace, Not Perfection is a beautiful life-changing – and life-saving – gift. But before deciding to give it to somebody else – give it to yourself first.